Olympus1492 had the most liked content! will this ever be a public mod? Is there any interest in an update for this mod? Open to suggestions and feedback. Strong work sir! It's awesome to see you taking the feedback from this long, drawn out forum thread and implanting some of the provided ideas into this modification. I trust that this will become one of the best mods out there and time will tell. Keep it up man! Adding to this post, would it be possible to integrate patient refusals? Anyone who's ever worked EMS knows that a non-EMS transport refusal is common place in the United States. In game, essentially the patient would be evaluated and have a 25% chance of refusing transportation to the hospital in which case you just pack up and get back in service. Would be cool for fender benders and simple stuff. Hello, I'm a career firefighter in a small town of 2,500 people. Like most towns we have a small clinic that handles many things with the exception of cardiac, neurologic and cardiopulmonary resuscitation events. They do not except ambulances because of their lack of an emergency room; it's more of an 'urgent care' if you will. However, they get a significant volume of patient in by their own vehicles to the clinic of varying levels of severity, many of whom they utilize our ambulance service to ship out to the nearest metropolitan which is roughly thirty-five miles West, containing the state's level one trauma facility and several other hospital systems. 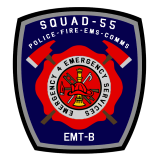 Working fire and EMS in a small, rural community with resources that are stricken and slim most of the time provides it's challenges and we rely on volunteers to back up the paid staff daily. With that said, has there been any consideration in supplying the VFD in this mod with an ambulance, ran by the volunteers? Typically, volunteer departments in the midwest that do have ambulances will run a 'basic basic' truck, or on good days a 'basic intermediate' truck. Rarely, a paramedic will staff a VFD rescue, but it happens occasionally. Since you plan on having a 'BLS hospital' and an 'ALS hospital' off the map for transports, I was thinking it would be amazing to have the VFD capable of transporting the BLS calls and keeping the ALS units available for more major events. Additionally, working in a resource stricken area provides the necessity for thinking on your feet and taking risks. Often times a BLS ambulance will be the only unit left in the whole county, much less the city I work for, and will find themselves transporting strokes, heart attacks, CPR in progress and other ALS events to the nearest facility for stabilization or intercepts with an ambulance of higher care. All of these rural aspects of EMS provide and unique opportunity to model this game and modification thereof in an awesome fashion to realistically recreate the adrenaline and experience of being a 'basic basic' truck taking in high level calls. Just some food for thought; I have no idea how difficult it would actually be to integrate any of these things. As for items to place in the emergency room shown above: hospitals will always have a waiting room connected to registration and triage. After patient's have registered, be it by ambulance or on their own, they will generally go through triage unless the event is obviously serious such as massive trauma, cardiac, neurologic or respiratory. After going through triage a patient will generally be placed back in the lobby for some amount of time until they are called back to "secondary triage" for patient's that may meet moderately serious criteria. Secondary triage is where IV lines can be started, and certain "intervention medications" can be given such as anti-emetics and opiate analgesics while the patient waits for a room to be seen by a doctor. After the patient's who make it to secondary triage have been treated they are sent back to the waiting room, hopefully feeling temporarily better, and wait again for a room in the actual ER. Anything emergently found during secondary triage will warrant the patient going directly from there to the ER. Common ER items include: crash carts, hospital beds, computer systems, "robo nurses" with vital machines, chairs, gurneys, IV carts, procedure rooms and the contents there of, "code rooms," curtains, employees, sharps buckets, bio bins, cleaning supplies, supply rooms, medication modules, paperwork, printers, food, desks, mobile x-ray machines, accuvein finder carts, etc. Often times in small hospitals where higher level of care hospitals are far out of reach and patients are critical, helicopters or "IFT ambulances" will be utilized after the patient has been stabilized to the maximum of the facilities capabilities. If possible in this mod, it would be awesome to this concept integrated. For example a stroke could be transported to this facility on the map that is capable of contrast CT scans, but has no thrombolytic therapy or clot removal surgery capabilities. Then, an ambulance on the map or helicopter from the Dillon hospital could be summoned for a code three transfer to Dillon. Just some food for thought, hopefully helpful. Very excited to see this mod taking further shape! Also, that brush truck is badass. Will there be the potential for "pump and roll" with forestry lines and grass fires? Rural firefighting in the mid west is 75% medical, 10% structural and 15% wildland. If anyone has suggestions for other mods or future releases to this, I'm open to suggestions. This Supervisor modification utilizes the listed run cards (in the spoiler) to dispatch in-game calls. 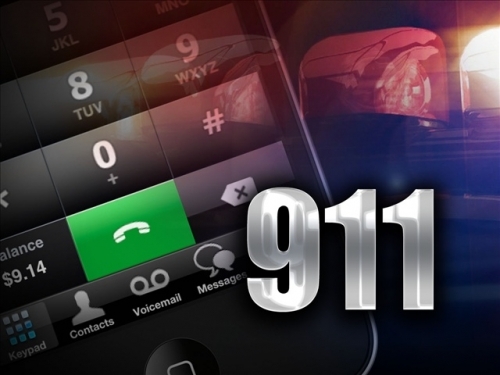 Every call is dispatched with a tone corresponding to the requested agency (police, fire or EMS), followed by the applicable code for fire or EMS. Police calls are voiced in plain English. All files contained within this modification replace the existing british-style dispatcher that appears in the lower right hand corner. Here's an example of a basic medical call: https://www.youtube.com/watch?v=1dgxvhgSnGw&feature=youtu.be The video above is what will appear in the lower right corner of the screen when a callout happens. Installation: Drag and drop the "data" folder into your Emergency 4 game directory. Make sure to back up your files! I understand exactly why the function of automatically returning ambulances wasn't implemented by default. My buddy and I have used, loved and appreciated this mod in our own two-player environment for maybe a little over a year now and one of the private edits I've made is adding and editing a couple scripts, one of which has allowed ambulances to return on their own based on my personal preference. If it's alright with Blackout I have no problem giving you a copy of that script for a simple copy/paste fix to your dilemma, but only upon Blackout's approval. I've edited a few scripts in this mod to allow emergency vehicles traveling with out their emergency lights activated to travel at normal speeds, or respond to low priority calls "code 1" with the slow speed. Just a bit of realism for this already incredible modification. If Kingairway would like me to release and or send him the files I will be happy to do so. No judgment from me, I've made my own mods for this game too, I know of the time it takes to create things here. I was just stating a fact.